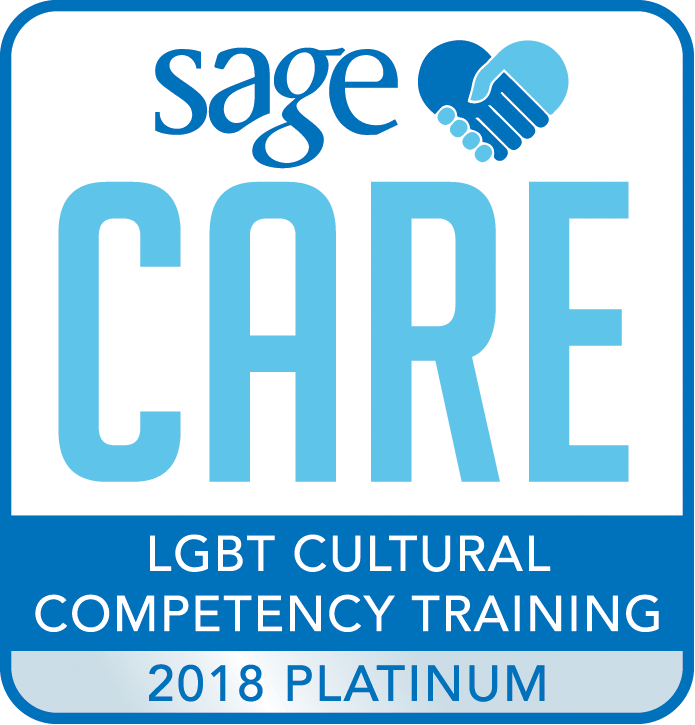 Senior Housing Solutions has recently completed LGBT Cultural Competency Training through SAGECare to be inclusive to all individuals who are seeking senior housing placement advice and to be sensitive to locating care facilities that non-discriminatory and open to all people. SAGECare (www.sageusa.care) is a division of SAGE the country’s oldest and longest organization dedicated to improving the lives of LGBT older adults. SAGECare provides lesbian, gay, bisexual and transgender (LGBT) competency training and consulting on LGBT aging issues to service providers. Together Senior Housing Solutions and SAGECare will continue our partnership to serve people with the best care possible and help all people age with dignity and respect, with the comfort of knowing they will be celebrated for who they are. Senior Housing Solutions is a locally owned, personalized, highly specialized and 100% free resource and referral service that helps find the right fit financially, medically and socially to people about assisted living, memory care and other senior housing options in Lee and Collier counties. With more than 30 years’ experience Senior Housing Solutions understands all the nuances of all the facilities and stays current on pricing, availability, healthcare surveys, occupancy, significant staff turnover and operational issues. Learn more at https://seniorhousingsolutions.net.